Sometimes, David beats Goliath in real life. Last week, Jayne Powell, a self-employed wine educator and consultant won a three year battle with the CIVC (Comité Interprofessionnel du vin de Champagne) after being sued over her use of the name Champagne Jayne to conduct sparkling wine seminars and events in her native Australia. The claim, according to the CIVC, was that Jayne served sparkling wines others than those made in Champagne, and therefore diluted and otherwise tarnished the Champagne name by misleading the public. Powell, for her part maintained that Champagne Jayne had been her nickname for years, and as such, made for a fine moniker under which to do business, especially since her job involved actually teaching people about wine, including what the difference is between sparkling wine and Champagne. The fact that she was being sued by the CIVC over her use of the term seemed outrageous on its face, and that's before learning that Powell had been made a Dame Chevalier de L'Ordre des Coteaux de Champagne for her contributions to and advocacy for the region. The organization providing that honor? The CIVC itself. The text of the court decision makes for fascinating reading for anyone who is interested. Powell has published it on her web site for anyone to download. The CIVC has long been something of a pit bull about the Champagne brand. This is largely understandable. 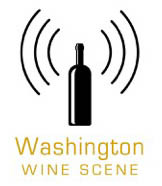 I'm a huge fan of Champagne and its wines, and believe they have every right to protect their place name. Certainly they have the right to object (and even sue) when people label their sparkling wines with the word Champagne. But the CIVC has gone after far more than wine producers in its day, pursuing legal targets as varied as paint manufacturers, fashion brands, etc. Most recently they went after Apple for its intent to make an iPhone whose color was described as "Champagne." To me, it seems that the CIVC's money would be far better spent either educating consumers around the world about the glories of Champagne (which are many) as well as finding ways to get good Champagne into the hands of more people, whether that be through underwriting exportation of wines, or putting on more tastings around the world to showcase the beautiful and varied wines from the region. A couple of years ago, I had lunch with a spokesperson for the CIVC in the course of my visit to the region and I brought up this case, which had recently come to light. Because that discussion was not on the record, I will not share that person's name or title, but I was surprised at the conversation. I gently, and gradually more forcefully made the argument that such legal action was a) not warranted and b) made the CIVC look pretty bad. The response I received reminded me of discussions I've had with pro-life people about abortion. This was a matter of near-religious principle, and nothing I could say made a dent in the dogma on offer. My lunch mate insisted that Powell was deceiving the public, disingenuous in her business dealings, and doing real harm to Champagne as a region and as a brand. Thankfully, an Australian judge agreed that such arguments were a load of malarky. Or more specifically, the judge found that there were no substantial and objective grounds for opposition to Powell's continued use of the name Champagne Jayne for her business. He's also directing the CIVC to pay Jayne's legal costs for this whole tirade, as they well should. It's rare that the little people triumph in the face of legal bullying from big organizations. This one is definitely worth celebrating. I'm sure Powell has popped a few corks in thanks herself. No word on whether she's celebrating with Champagne or not. 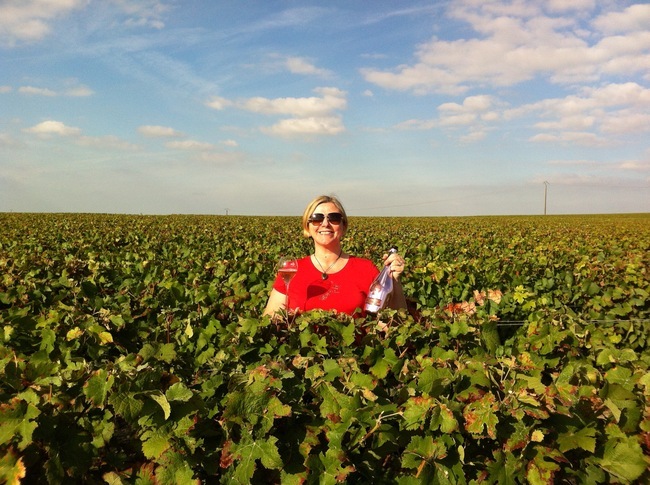 Image of Jayne Powell in the vineyards of Champagne (drinking Armand de Brignac rosé I might add) courtesy of Champagnejayne.Com and Copyright Jane Powell.